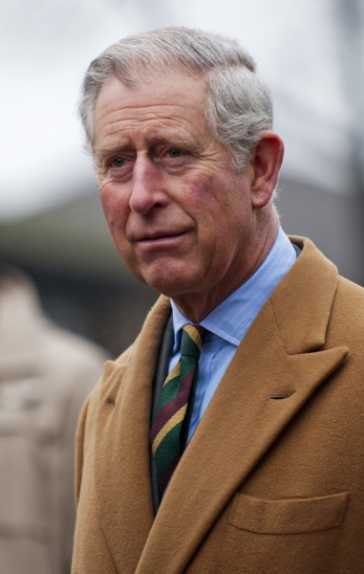 Prince Charles is warning that urgent action is needed to increase sustainable management of fish stocks. However, the Prince of Wales says even though global fish stocks continue to decline, there is reason to be optimistic about the future. "The story today need no longer be one of doom and gloom and inevitable decline, but one that harbours the possibility of generating more value from a strongly performing natural asset. This potential can only be tapped if we manage it well." As long as fisheries adopt more sustainable management practices, larger catches at sea, healthier marine systems and secure jobs in the industry will be possible in the long-term. But, if no move is made to increase sustainable management, then the situation will worsen and could become irreversible. The Prince's comments in a speech at Fishmongers' Hall, London, came after the Marine Programme report was published by his International Sustainability Unit. Fisheries currently add around $275billion (£173billion) to the global economy, but they could raise $50billion (£31billion) more, if management improvements were put in place, according to the World Bank. This is highlighted in interviews with fishery chiefs included in the ISU report, which says their businesses have improved as they have become more sustainable. The ISU says the whole sector would benefit if these practices were widely repeated. Its Marine Programme aims to help create global agreement about best practice and see it put into practice even in small fisheries. The report identifies three core principles that it wants to see adopted: managing fisheries for the benefit of the whole marine ecosystem; changing the economics of fishing by rewarding positive behaviour and regulating and enforcing fishing regulations. · involving the private sector more in supporting fisheries improvement projects. The ISU report, called Towards Global Sustainable Fisheries : The Opportunity for Transition has been published after two years of consultation with the public, private and scientific sectors and Non Governmental Organisations. More than 20 influential members of the fishing community have become members of a Fishing Industry Ambassadors group started by the ISU. The Prince of Wales set-up the ISU to help build consensus on how to solve key environmental global challenges including food security, the resilience of the ecosystem and the depletion of natural capital. The ISU works with governments, the private sector and non-governmental organisations to build partnerships and address these challenges. Full report: ISU Marine Programme. ISU: "Fisheries in Transition: 50 Interviews with the Fishing Sector".